South Korea has banned ICOs, the up-and-coming method of raising funding via crypto tokens, due to concerns over the potential for financial scams. China’s Central Bank became the first to outlaw ICOs, which are also known as token sales, in a move made earlier this month and now Korea is following suit. Companies from across the world have raised more than $1.8 billion this year to date via ICOs, which involve the sale of a newly minted crypto coin based on Ethereum to finance the development of a product. The space is not regulated like mainstream financial markets and that has attracted widespread criticism for its potential to deceive investors, who are not required to be accredited in any way. Regulators across the world, including the U.S., Singapore, Hong Kong and UK, have warned companies contemplating an ICO that they may violate securities laws. Those investing have been cautioned that they may lose their money. There have been promising projects — including payments network Omise Go and Kik’s developer platform — but there are plenty of more problematic ICOs while the number has risen behind 50 token sales per week. Just last week, a well-known Hong Kong gangster was linked with a $500 million casino ICO in Macau. In a true sign of a bubble, a parody coin called ‘Useless Ethereum Token’ managed to raise nearly $90,000 from investors earlier in the summer. “Raising funds through ICOs seem to be on the rise globally, and our assessment is that ICOs are increasing in South Korea as well,” Reuters reports that the Korea’s Financial Services Commission (FSC) as said following a meeting with the Bank of Korea and the National Tax Service. “There is a situation where money has been flooded into an unproductive and speculative direction,” FSC vice chairman Kim Yong-beom added, according to national news agency Yonhap. Regulations imposed in China in recent times have led to Korea representing an increasing portion of global cryptocurrency trading. China’s share is thought to have dropped from more than 90 percent in previous years to just over 10 percent today with Korea, Japan and the U.S. emerging as new trading hubs. 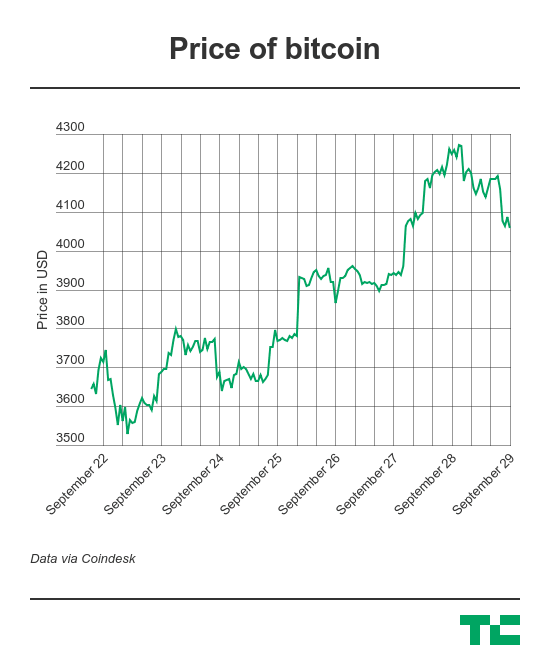 Given Korea’s importance, today’s news sent the price of bitcoin down three percent in the last 24 hours. The value of Ethereum is down 6.5 percent.